Sperie Karas takes you systematically through the land of syncopation, starting with 4/4 time, and on to odd and changing meters. The mastery of these solos prepares you for today's musical scene, giving you the control and security for the most demanding contemporary musical challenges in jazz, pop, and rock. Your reading skills will also be rewarded. 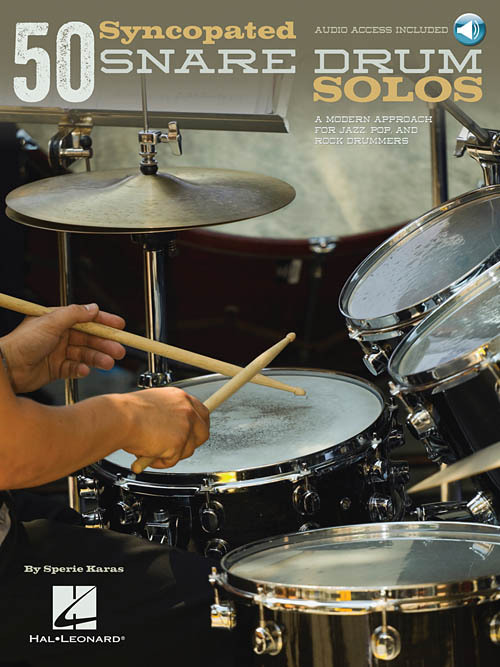 50 Syncopated Snare Drum Solos is ideal for competition and concert performance, and is applicable to the drumset, as Sperie demonstrates in the book as well as in the online audio. (The purchase price includes online access to audio for download or streaming) A must for today's serious drummer!